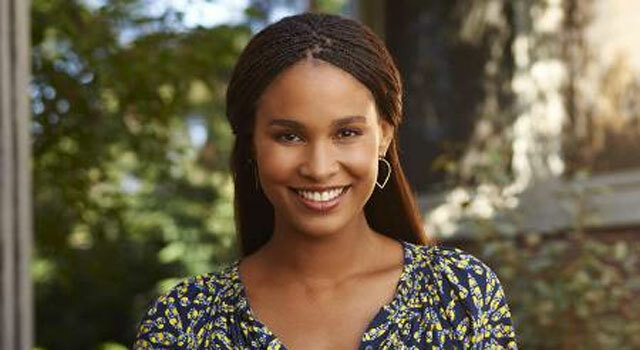 Nine years ago, Joy Bryant made the switch from modeling to acting and the move from New York to Los Angeles. Last December, she and her husband moved from Glendora, home of her favorite donut shop, to Glendale, which is closer to “the mix” of things, the set of NBC’s Parenthood, on which she stars, and the yoga class she loves. My mom and dad did photography as a hobby and I got my first camera at 15. Samy’s has everything. You can just walk around and see stuff you didn’t even know you needed. I really got into lomography and bought my cameras there. They used to be like $19 bucks. Now I have the Hipstamatic app on my phone and it’s great. I love fried shrimp. I like anything fried, actually. Here you can buy fresh fish to cook on your own, or they will grill up anything and everything, and it is so good. They make some of the best donuts ever, hands down. They’re famous for these fruit-stuffed donuts. It’s a glazed donut, but not too heavy on the glaze, really fresh and light, and they stuff it with fresh fruit. I’ve been to some pretty fancy places in my day, but Donut Man in Glendora has a big place in my heart. I work with a non-profit organization called Stoked Mentoring on mentoring at-risk youth here in L.A. and in New York and we teach them surfing and snowboarding. A lot of times we go up to Snow Summit. It’s great going up there with the kids and just watching them rip. It’s amazing to see snow-capped mountains in Southern California! I don’t really shop that much anymore, but when I do, one of my favorite places is my friend’s store, Kelly Cole’s Extraordinarium. He sells vintage T-shirts and pieces. I was there two months ago and scored two old-school Metallica concert tees. I’m now into the flea markets and I think the Rose Bowl Flea Market is the biggest one. You have all these vendors in one spot, and everything you want from furniture to clothing to little trinkets is there. I haven’t gotten my shopping cart yet, but I’m learning my flea market survival skills. You can start in the morning and clean up! I’ve been there more times than anywhere. I love just walking around the planetarium. I’m kind of a closet space geek. When I was younger I wanted to be an astronomer. That didn’t work out too well, but I love space and space related things, so that’s kind of my spot. A friend took me to Gjelina in Venice and the smoked trout salad just rocked my world. And their crème-depoix is awwhhhh! Now that we’re living much closer, I’m going to start going back to my favorite yoga class at Golden Bridge. Primarily it’s Kundalini yoga, which is heavy on meditation. I love yoga but this is the form that I really respond to. It’s like yoga therapy. Moccasins or any kind of moccasin shoe is more my sneaker. Leslie Crow’s company, Heyoka, makes handmade moccasins from recycled leather. I just ordered these white snake-skin recycled leather moccasin boots. They’re pretty sick.